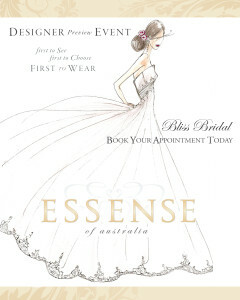 We will be hosting an exclusive preview gown event by Essense of Australia on May 15th, 16th and 17th! 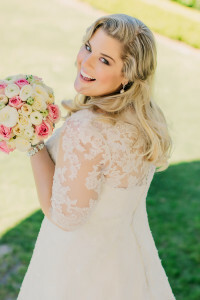 Be the first brides to get a look at these brand new, never before seen bridal gowns! As an added bonus these exclusive gowns will be sold at a ten percent discount this weekend only. Schedule your appointment today! 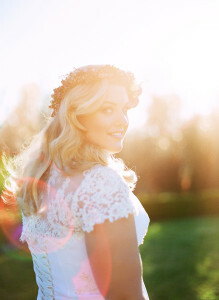 Come join us for a fun-filled day of wedding planning this Sunday at Fantasia in North Haven! In addition to all the wedding vendors, we will be hosting a runway show. 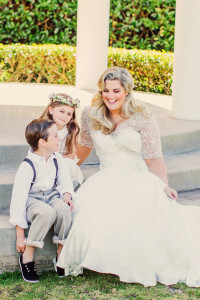 The show will showcase a variety of bridal gowns as well as bridesmaids and mother of the occasion. You won’t want to miss out! We love trunk shows! Here’s whats upcoming for our designers. Allure Bridal 5/29-31. Justin Alexander 6/11-13. Sara Gabriel veils and accessories 7/17-19. Appointments tend to book up quickly, call and schedule yours today!